A Vegas Girl at Heart: Bee Tree Studios Sneaks! Just wanted to share a couple of layouts I've made using some new kits coming this week to Bee Tree Studios. First up, I made this page using a kit called The Graduate, set to be released on May 30. If you check out Stephanie's post, you can see how you can win this kit! As you can see, Summer graduated from Arlington Catholic this past weekend. 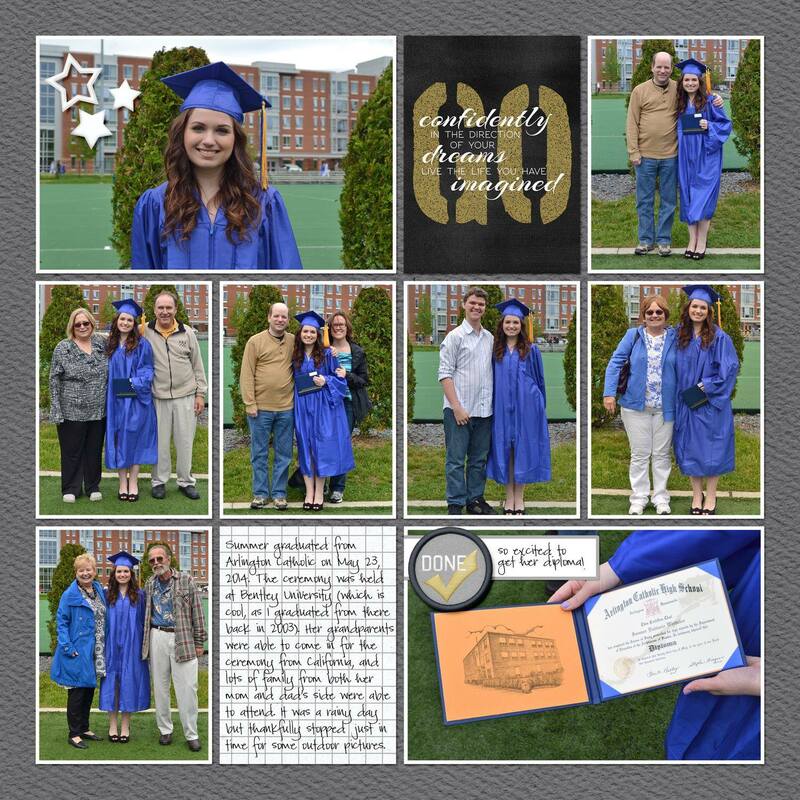 I was excited to get a chance to use this new graduation themed kit so I could make a page with all the photos we took. The template I used here was my Pocket Page Template 2. I also played with Stephanie's Beach Side mini. This will be available free on June 1st as part of the monthly Scrappy Bee Blog Train. 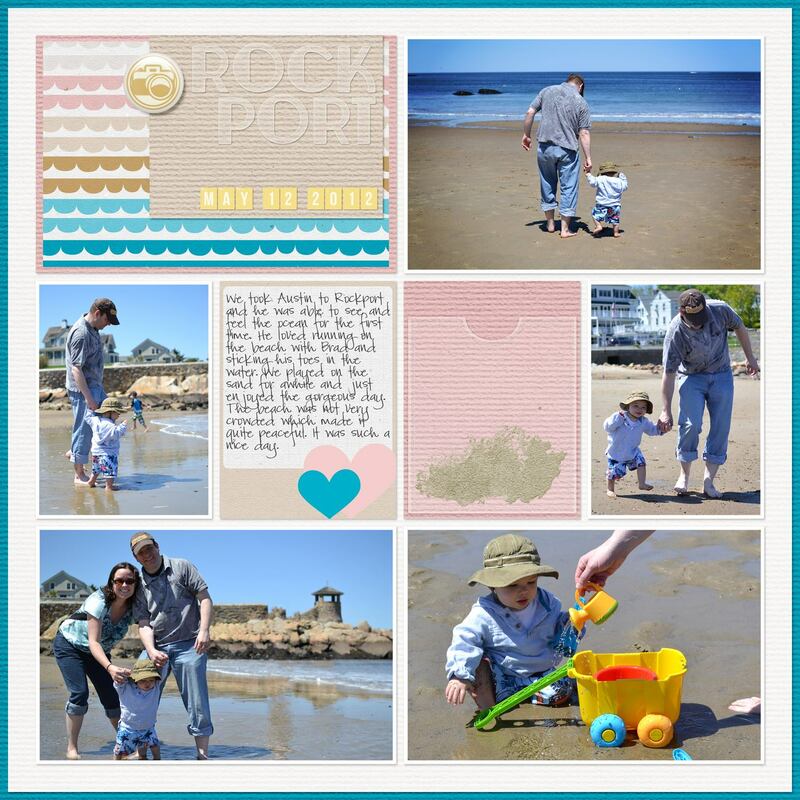 These are photos from Austin's first trip to the ocean. I especially loved the plastic pocket and sand embellishments included in this mini. I used my Pocket Page Template 1 for this one, along with my Clear Alphas and Teeny Tiny Alphas. Definitely hop on the blog train on Sunday, and go head on over to Stephanie's blog for a chance to win The Graduate!